French NFC trade association AFSCM has partnered with three major mobile network operators to roll out SIM-based NFC services in France. The association is working with Oberthur Technologies (OT) to build a common hub with Bouygues Telecom, Orange and SFR which will enable a “massive launch of NFC services” in the country. “Thanks to this new initiative, French end-users will benefit from secure digital cards in their smartphones that will become an all-in-one tool to transit, as local and national transport tickets and subscriptions are digitized in the smartphone, or to pay simply by waving them in front of a contactless terminal,” OT says. 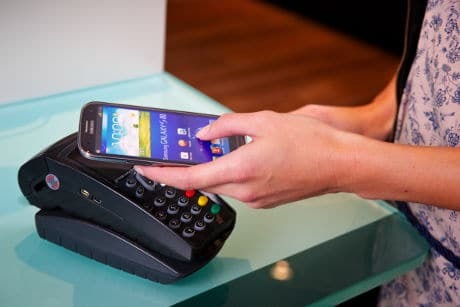 “AFSCM has adopted a very pragmatic approach in order to simplify the ecosystem — a single and consistent architecture shared by all MNOs to optimize the go-to-market for NFC services,” says Pierre Barrial, managing director of the mobile networks operators business at OT. “We will be able to quickly launch various NFC services on smartphones in France, opening the door to extend contactless technology to new types of devices and services,” adds Thibault de Dreuille, AFSCM general manager.